I am sorry that it took me a while to get the second part ready, but better late than ever. Hopefully we will see better API in the next release of Windows and at some point the two API's will aliogn. 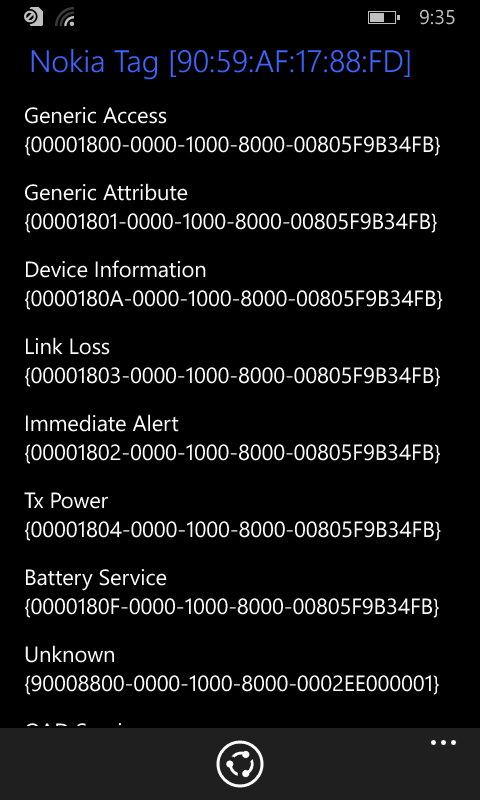 In this moment Windows Phone has better support for BLE devices than it's bigger brother. To better illustrate the new API I have created and published an Windows Phone XAML application that is already available in the Store and I've uploaded the source code on Github. 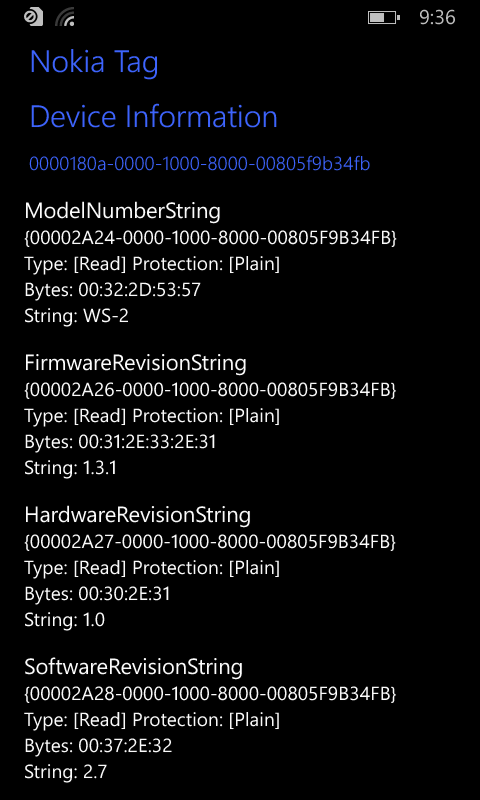 In order to be able to develop/test for BLE devices you will need and LE device (see the devices from my previous post and since then my collection just got bigger as I've got an Polar H7 heart rate monitor, and the Nokia Treasure Tag) and you will need an Windows Phone 8.1 device that supports the new LE stack. Regarding the device there are good news and a bad news. The good news is that all the Windows Phone 8 devices have hardware that support LE and will support the feature once they will receive the official update. The bad news is that with the Developer Preview this feature is not supported (on the Nokia devices there is an stack conflict between the GDR3 Nokia LE driver and the Microsoft one, Samsung Ativ S it needs a firmware upgrade, and maybe, from what I've heard, it works on the HTC 8x devices but I don't have one and I cannot confirm). So if you have an Windows Phone 8 device you will need to wait for the official release. On the other hand if you have a new Windows Phone 8.1 device like the Lumia 930 or 630 these feature is already supported along with all the other cool features available in the new release . The Lumia 630 and 930 are awesome as they have support for Nokia Sensor Core a technology similar to the one present in the iPhone 5S. The easiest way to see if your device supports LE is to buy an LE device, open the system Bluetooth pairing window and see if you are able to see the device in the list of devices you can pair with. In this post I will use the Nokia Treasure Tag. Our goal is to find out as much as we can about the services and characteristics exposed by this device. 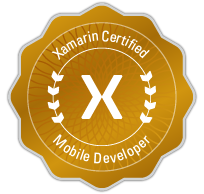 We will use the new Windows Phone XAML projects available in Visual Studio 2013 Update 2. 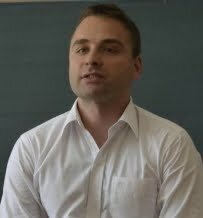 The output of this method is a DeviceInformationCollection of paired devices that expose the Generic Access service. Once we have the devices we can select one of them and create a new instance of the newly added class in Windows Phone 8.1 SDK BluetoothLEDevice. This class can be usedto enumerate all the services available on the device. If you look at the description of the class you will see that it is only supported on Windows Phone (no support for Windows Store applications). We will use the Id property available inside the DeviceInformation to instantiate the class. The BluetoothLEDevice exposes a property called GatServices of type IReadOnlyList<GattDeviceService> that will give us the list of all the services available on the device. GetDeviceService is a class that is already implemented in Windows 8.1 but it was extended on Windows Phone 8.1. To get a friendly name of the device service (not only the Guid) you could use reflection, but I have created a helper class BLEHelper.cs (see the github project) that can be easily extended to cover more known services. Remember that all the LE services that have an id that start with 000018 and end with -0000-1000-8000-00805f9b34fb are probably standard LE services and you can find further details about them here. If you download the BLEExplorer app you can also use share to export all the data (services+characteristics) to any application that support text sharing (like email). In the next post I will explain how to create background tasks that subscribe notifications from an BLE device, manage connection lost and reconnect in the backgroun. P.S. If you have questions please do contact me by email and I will be glad to help. I have disabled the comments on the blog because there was a huge amount of Spam.